Using radiant heating can make your Bellaire, Texas, home more comfortable for allergy sufferers, decrease cold spots in your house, and lower your energy bills. 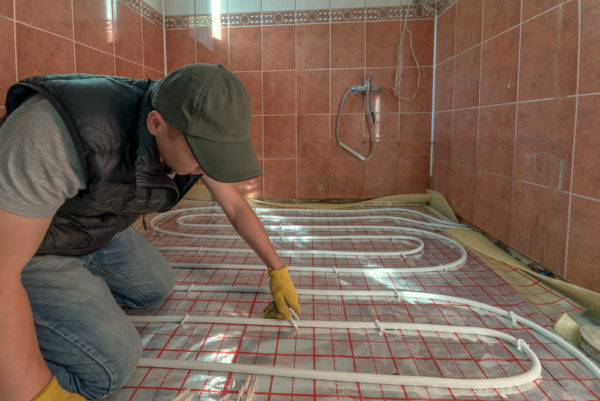 Learn how radiant heating works and why this form of heating might be the best choice for you. Unlike forced-air heating systems that use ductwork to distribute warm air to heat your home, a radiant heating system warms up surfaces such as floors and walls directly. These surfaces radiate heat to keep your home at a comfortable temperature. Floor-installed radiant systems are either electric or hydronic. An electric system heats your home using cables installed in your floor, while a hydronic system uses pipes to circulate a heated liquid. Wall- or ceiling-installed radiant heat use aluminum heating panels. These heating panels can be either electric or hydronic systems. Radiant heating systems are more efficient than baseboard heating. Additionally, with this type of heating system, you won’t lose heat through ducts as you would with forced-air heating systems. In addition, hydronic radiant systems need little electricity to keep your home warm, and this reduces energy costs. Since radiant systems don’t use warm air to heat your home, changing from forced-air to radiant heating can improve your home’s indoor air quality. Radiant systems also minimize airborne particles, making your home more comfortable for those with respiratory problems. Unlike systems that rely on air circulation, a radiant system can evenly distribute heat. Use radiant heat to remove cold spots and keep all the rooms in your house at a comfortable temperature. If you’re building a new home or an extension on your existing house, you can consider radiant heating. Installation costs vary depending on whether you choose an electric or hydronic system. The cost will also depend on whether you want radiant heating that is installed in the floor, wall, or ceiling. You have the option of installing a system that incorporates all three types. At Conditioned Air, we’re happy to answer questions about heating for your Bellaire, Texas, home. Call us at 281-201-0356 to discuss your needs.